So will learn how to do it on Windows Server 2012. Something which you need to know is , Using a Internal Windows CA Certificate you need to install the certificates on every machine you use and Mobile devices other wise you will end up in a certificate error. So that’s why people prefer going for a 3rd party certificate to overcome it. You are most welcome Manu !! I have a problem, that when I get to step 19 Choose Template : WebServer , I don’t have that option. I only have two options of, User or Basic EFS. Check you are logging in as a :Admin: with all the rights. Any help would vert be much appriciated. It might happen. Even if your Active Directory is not healthy. Check is there any Decommissioned DC’s Still Exist. Check for DC replication. thanks for the reply, i was a DNS issue in the end. Thanks a lot mate this was a very well presented and clear guide which did the trick! I will look forward to post it.! After created certificate successfully at step #5. Following step #22, we will request certificate into PC1 (https://ad/certsrv) or into PC4 (https://ex2013.local.com/certsrv) ? Do i need install this ceritficate (at step 22) for PC2, PC3 ? so do I also install the certificate applied in Exchange 2013 into non-domain PC following step #24 ? 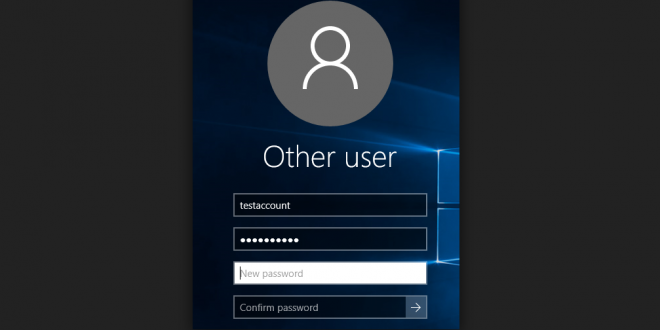 My Exchange labs have used for internal network (intranet network), so for OWA-Autodiscover – Outlook anywhere…: could I configure InternalURl which is same as ExternalURl ? or I don’t need configure ExternalURl for all services in case I use them for intranet network ? The bar still displays “certificate error” ? Could you give me some ideas to solve my problems, please ? I re-start Exchange 2013 system (also try to restart all service relating to Exchange and DC), but I still met “certificate error” into the Web client of non-domain PC ? Could you specify the tasks which I should do to check ? Sorry for typing information which are not clearly. Thanks a ton for putting it together so nicely. Eversince i have added this certificate, I am getting blank screen on opening ECP/EAC/OWA. Moreover, i can’t even open Mgmt Shell. Nice step by step instructions…very helpful. I have managed to get through with exchange and Outlook configs. Before I finalise some help on the below. 1. After changing the External and Internal URL in exchange do I need to create the Certificates again. 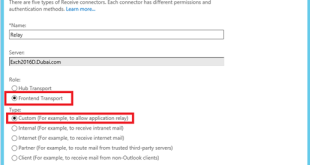 2.How do I configure DNS for Outlook anywhere. 3. 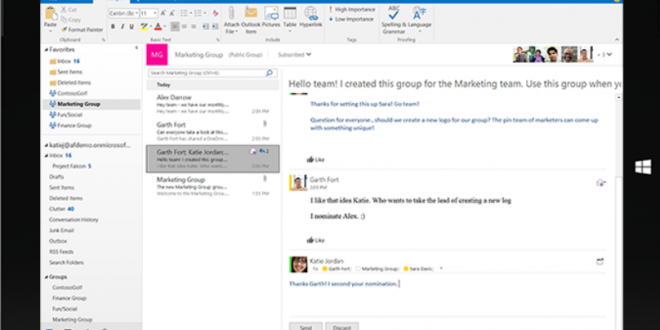 Create public folders in Exchange 2013 and copy data from Exchange 2003 public folders. When you create a Cert Req from the Exchange Server. you should verify that all the URLs available in the Cert. Once you verify the Cert req to the Certificate Authority . Things are going to be fine. 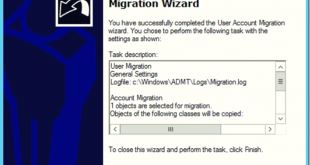 you have a seperate migration method to migrate Public folders. I will post that soon. Hi I wonder why we must to install the certificate (*.cer) for 2 times ? We are placing it in Two Containers. if you are familiar with MMC. you can copy the Cert from personal to Trusted . Or either way. ive followed this guide and it seems to be working, thanks. I’ve just got a few issues that need addressing, if you could help that would be greatly appreciated. 2. My outlook 2007 clients running on XP SP3 are prompted for login details every time they log on to outlook. 3. Outlook 2007 clients cannot share their calendars, error message : an error occurred when setting schedule permissions. Did you placed the certificates in that xp machines as well ? , Yes , you can remove it if no services are assigned to them. well no harm . leaving it there too. I have one question, can you tell us in more detail how to use it Externally? since you say in the beginning you need to have a CNAME record in your public DNS pointing to your Public IP NAT to your CAS. Now pinging autodiscover.yourdomain.com should resolve your Public Ip. Then your Public IP , NATS to your Exchange Server. THANK A LOT ; I does help! Do I need to change some settings when making the request ? or can I change the imported cert properties ? thanks a lot for this post, very helpful! In your screenshot the file to import is “\\UNC\FOLDER\something.CER” in my case is “\\UNC\FOLDER\something.PFX” why? Why don’t ask me a .cer file like your post? How to configure certificate based authentication in exchange 2013 , DC is win 2012 server. How to use a internal Windows CA (Certificate Authority) in Windows 2012 with Exchange 2013 with 2 CAS. I do the same with CAS1 but I dont how to do with CAS2 with the same CA. A question about the way my windows server 2012 resolves the internal and external addresses. Right now I have an intern domain: yyy.example.local, external domain: yyy.example.com. I have an exchange certificate for my external domain yyy.example.com and that is working fine for the exchange users. When the users approach exchange internally they receive an error because the certificate name doesn’t match the internal address which is logical. My question is: How can I let my internal address redirect to my external address. So when users approach Exchange internal they will receive the right external address without any errors. I’ve tried the options below, but this does the opposite. It will link my external address to my internal. 2. go into the new zone, make a new A record, the name is blank and put IP as internal mail server. after completing, why the status of the new certificate is invalid? May be you are choosing the wrong format. or you haven’t place the cert in the client properly. Install the internal CA Certificate on the Exchange 2013 Server or restart the Exchange 2013 server after installing the CA server. With me the same thing happened and after the above procedure the certificate was valid. Ok, so I managed to change the Autodiscover URL pointing it to the external URL, so Outlook will connect with the right certificate. If I delete and re-add the outlook profile, the certificate error won’t pop-up and everything works fine. My question now is: I am dealing wth 50+ users. Does this mean every single user has to delete his outlook account and re-add it? This is a big amount of work, not to mention the time Outlook needs to sync everything back again (over 50gb worth of data). Is there a way to do this faster and more effective? if you are using Internal CA , All Certs need to be managed in the machine manually . Like Cert has to be inserted manually in the machines. to avoid cert errors. There is a problem with the proxy security certificate, the certificate is not from a trusted certifying authority. Do I need to add my Exchange server hostname in my SSL certificate. For example if I enter https:\\exch01\ecp , will I get to the ecp even though it is not in my CSR SSL certificate? Any reason why I need to add my exchange server to the certificate request? What about just adding a hostname vs. the FQDN? Thanks. changing the internal urls according to above. My cert don’t run on OWA 2013 SSL, in details I see a warning in Key Use “Digital Signature, Key Encipherment (a0)”. Pheraps the problem is this? I have a question, can I use the same certificate to send encrypted email via Outlook 2013 to other recipients out in the world (I mean People that we do Business with and are not joined in our Domain)? If yes, could they decrypt the emails and it#s attachments? you cannot use a internal CA cert with external world. They cannot decrypt them. We have an internal CA for our internal servers like Exchange and Lync and it is showing it is going to expire under certificate in ECP. If we go to the CA server it shows it has three more years to expire under certificate details. Is there any default settings like, any certificates are valid only for two years and then we need to renew it? While issuing you can set number of years. when you open the cert in exchange and says its going to expired. you have to reissue it. but you can check for reissue expiry settings in internal ca to get more extended expiry time. but some certificate types sets to 2 . regardless what you set in internal CA. This behavior can be fixed if you do more research on Internal CA. which I never did. this is great and helpful. i have a question : Windows CA blocked my Exchange, before Installing CA my exchange was working fine, after installation i was not able to access EAC(Exchange Admin Center). can you please assist me how i can resolve this issue? because i uninstalled the CA but still not working please assist. My AD is windows 2012 R2 and Exchange windows 2012 R2 which is memebr of my AD. 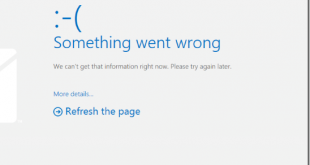 Windows CA Should not cause any issues. Try Assigning Proper SSL Certificate for Exchange Server. Thank you for this explanations. I have one question. I have an sbs2008 with exchange 2007. Can I move the CA without trouble to a 2012 DC with a different name and then create the certs for the new exchange? I need the old SBS for moving mailboxes and public folder. What I want to know is why they never built in the option to query an internal ca directly for certificates and renewals without having to do the whole file thing. Like you can setting up rds.. They dont want to encourage it . Simple. Public Certs became cheap and game changers. My Exchange Server certificate when trying to complete it (changing from Pending) disappears from the exchange console and you cannot edit it. Great KB dear, Satheshwaran, i have a situation where customer have local domain name as domainname.local currently no CA (digicert) provider giving us names like .local or IP as SAN names, Kindly advise how i can handle this, currently users getting certificate error frequently. Can i build CA server and import certificate. and discard the external certificate which is from digicert. is it for Exchange server ? We have an internal CA server(Windows server 2012R2, Hash algorithm:SHA256) The certificate is work in IE but in Firefox and Google chrome is Not Secure. how can i resolve this problem? it really help i was stuck in creating certificate for very long time this article simply solve my problem thanks for writing such a helping article. ?therwise need t? leave the?r house ?nd dispose off property. ?t tthe judge m?? e?en adjourn the situation to provide yo? with the opportunity t? sell ? ?ur property ?nd pay up you? m?y ?? tthe solution y?u are l?oking for.